Sanremo, city of sports: June ’07. Sanremo, June 2007. There will be many important sports events through June in the Citta’ dei Fiori, starting with the 37th Gran Fondo Amatoriale Internazionale Milano/Sanremo, on Fri. 1st June ( organised by the Unione Cicloturistica Sanremo ). The race counts a bigger number of partecipants every year ( between 1200 and 2000 ), it runs the same route as the Classicissima di Primavera and it’s incredibly appreciated by international cyclists, a great reminder of the excitement given by the all-time champions. The Concorso Ippico Internazionale CSI 1 stellawill also take place between Thu. 7th and Sun. 10th June, in the Campo Ippico of Sanremo. It’s a prestigious competition for knights and amazons from all over the world. For the ones who have a passion for golf, the Circolo Golf degli Ulivi of Sanremo offers two important events in June: the 2nd International Golf Tournament for Flowers Industry – from Thu. 14th to Sat. 16th June, and the Trofeo Lacoste 2007 – fromJune 30th to July 1st, which, at its 11th edition, will take place for the first time at the golf Sanremese. 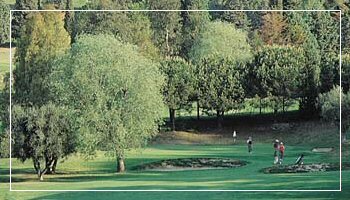 Made of 18th qualification trials and 36 pits, the national final will take place by the Golf Club Milano in September.